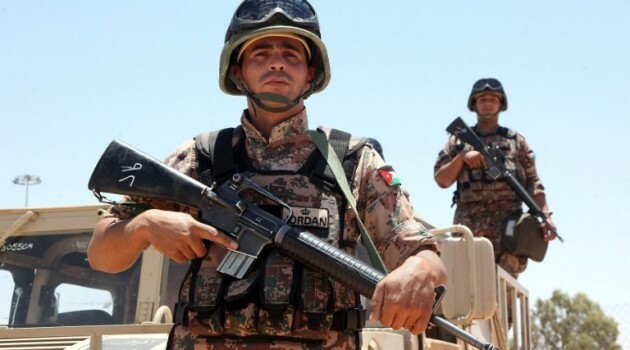 King Abdullah of Jordan, in a Palace statement, vowed to respond “with an iron fist” to the car bomb attack that killed six army border guards in the Rukban district, close to the border with Syria. Several regional countries have condemned the attack including Syria. A source at the Syrian Foreign Ministry linked the attack to the ongoing war in the country. “This terrorist attack stresses once again that terrorism knows no border and that no one is immune to it” the source told Syria Arab News Agency. Damascus has repeatedly warned that terrorism will backfire on its supporters, the source said. No group has claimed the attack but it is believed to have been carried out by armed groups fighting in Syria. Syria has always stressed its readiness “to cooperate with the brothers in fighting terrorism and preserving the security and stability of the region,” the source added. The attack took place close to a refugee camp housing around 60,000 Syrian refugees. Amman has suspended all humanitarian aid to the area and will neither open new ones nor expand the current ones on its territory. Aid agencies have already raised concerns about the deteriorating living conditions of the refugees. Written by: Jaber Ali on June 22, 2016. Posted by Jaber Ali on Jun 22 2016. Filed under Headlines, World News. You can follow any responses to this entry through the RSS 2.0. Both comments and pings are currently closed.